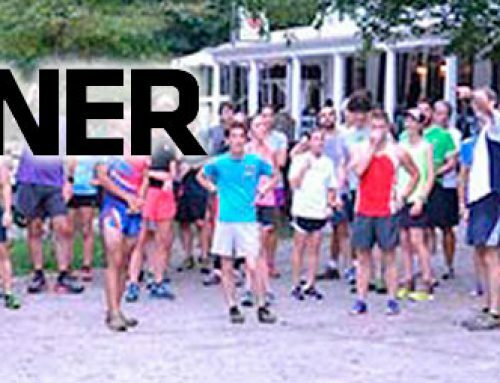 Trail Runners to Compete for New Prize…..The Wissahickon Cup! 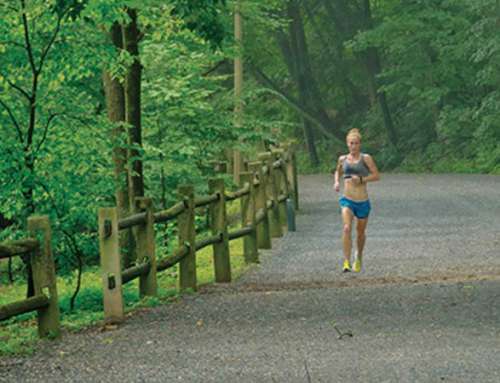 A new award will be unveiled with the upcoming May trail series….the Wissahickon Cup!! The cup will be awarded to both the top male and female runner in the May series. The top five finishers (both male and female) in each of the four May Trail races will be awarded points (five for first place, four for second…to one point for fifth place). The top three race finishes will count for each runner, and the male and female runner with the highest cumulative score wins the cup. 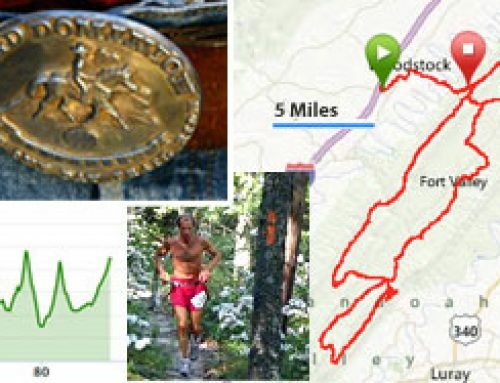 The trail series starts on May 6 and will continue each Thursday night in May. The races begin at 6:30 from the Valley Green Inn. There is no entry fee and the races are open to everyone. To compete, just show up! Gordon cautioned runners to remember the informal nature of the races. The four race directors for the series this spring are old hands The Trail Master Bob Reynolds and Doug Dubrosky and relative newcomers Alex Ochman and Louis Secreto. No one knows the Wissahickon better than these four. The assignment of a director to each race will be determined in the next week. 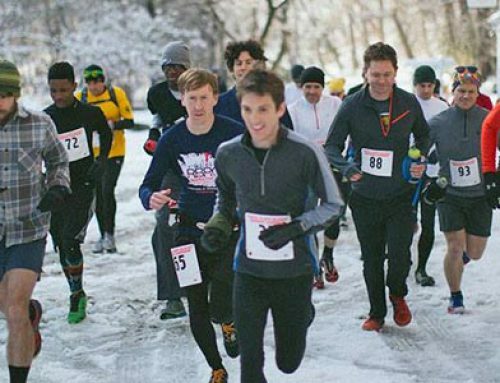 This is the eighth year that the spring trail series has been held. Any questions or if you need more information, please contact Dan Gordon. 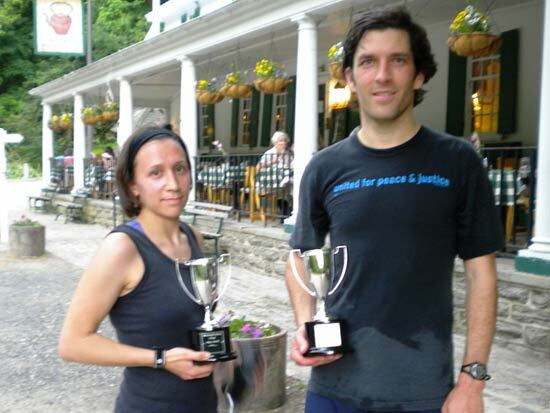 When the dust settled after the final race on May 27, Susannah Grosso and Jason Tyler were awarded Wissahickon Cups for their cumulative performances during the May Trail Series.